Congratulations to Andrew Crust (MMus 2012), who was recently appointed as the Vancouver Symphony Orchestra's Assistant Conductor! Beginning in September 2019, Andrew will conduct a large variety of programming with the VSO, including subscription concerts, concerts for children, Pops, and more. 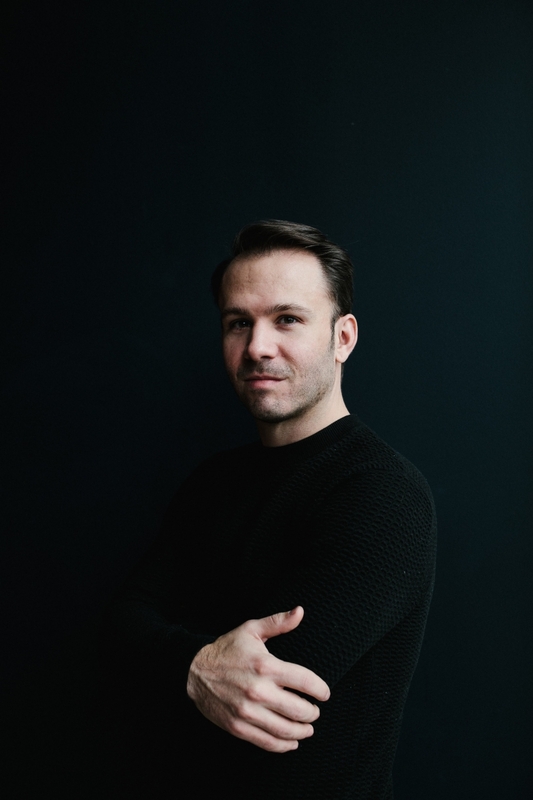 After graduating from his MMus in Conducting at McGill, Andrew has gone on to hold a variety of positions, including mostly recently acting as the Assistant Conductor for the Memphis Symphony Orchestra from 2017 to 2019. In addition, he's served as the assistant conductor of the Portland Symphony Orchestra (2016-2018) and assistant conductor of the National Youth Orchestra of the USA (NYO-USA) (2017/2018), among other engagements. When contacted about his new position, Andrew discussed how his time at Schulich helped prepare him for his current career. "My training at Schulich in the Orchestral Conducting program under Prof. Alexis Hauser was immeasurably valuable to my development as a musician. Prof. Hauser ensures that all of his students get ample podium time in front of multiple ensembles, cares deeply about each of his pupils, and there is simply no one better to teach the art of score analysis. The academic faculty and library at McGill are second to none. I also worked on four McGill Opera productions as Assistant Conductor, which led to further operatic experiences later in my career. Finally, my peers at the music school were incredibly fine musicians and still inspire me to this day!" As his former teacher at Schulich, Prof. Alexis Hauser also commented on Andrew's recent success, praising his consistent development as an artist and drive to improve. "Andrew entered the Orchestral Conducting Class as MMus. in Sep. 2010, after having won the audition against some tough competition. I still remember Prof. André Roy, representing the orchestra musician on our panel, saying 'Yes, to this conducting I can play.' Andrew also had a very clear concept of what he wanted to achieve, and in the two years in which he studied with me, he continued to make progress. He graduated with high marks in 2012, conducting the McGill Sinfonietta in Shostakovich’s Symphony No. 9 with very secure authority, receiving impressive results from the orchestra." "Like so many other of my graduate alumni and alumnae, he stayed frequently in contact with me after leaving McGill, and so I knew what he was up to at all times. Most recently, I met him in Salzburg last summer where we had a long discussion about career strategies and future opportunities. His career up to now has been a sequence of steps upwards, fortunately in a space which allowed him to continuously spend time both deepening and enlarging his repertoire, conducting at different locations, and growing as an artist. Arriving in his new position in Vancouver, he already has a considerable amount of practical international experience behind him, and together with his personable, respectful and tactful manner, I have not the slightest doubt that his work there will be highly successful and appreciated, and that makes me very happy!" Read more about the Vancouver Symphony Orchestra here.